The use of formaldehyde-based resins in construction materials has become standard practice because of various benefits such as low cost, and in wood-based products, dimensional stability. However, it’s also a growing cause for concern due to health problems caused by the release of formaldehyde both over time and when cutting wood materials containing these resins, as is the case for many MDF panels. In an increasingly environmentally conscious society, action is required to reduce the amount of formaldehyde and other Volatile Organic Compounds (VOCs) present in our construction materials, to be able to create safer, healthier indoor environments. What is perhaps more overlooked is the effect of formaldehyde on artworks and antiquities in museums and galleries; the places that house centuries of history and culture. Famously, artist Damian Hirst produced artworks featuring animals floating in tanks of liquid formaldehyde. In much the same way as formaldehyde in some MDFs contributes to its dimensional stability, the formaldehyde that the animals float in has turned them into solid, stone-like objects. Importantly, the tanks used in these artworks are maintained and tightly sealed to ensure their safety. However, formaldehyde in its gas form is one of a list of VOCs that can cause metal artefacts to be tarnished if levels in the objects environment are not controlled. This was initially discovered during research carried out by the British Museum in 1989 which led to the creation of the Oddy Test for all materials used within the construction of display cabinets for such artefacts. This is one of the reasons why MEDITE ECOLOGIQUE was developed. An MDF panel with all the versatility that makes it so popular for these applications, it is formulated to be crucially different. 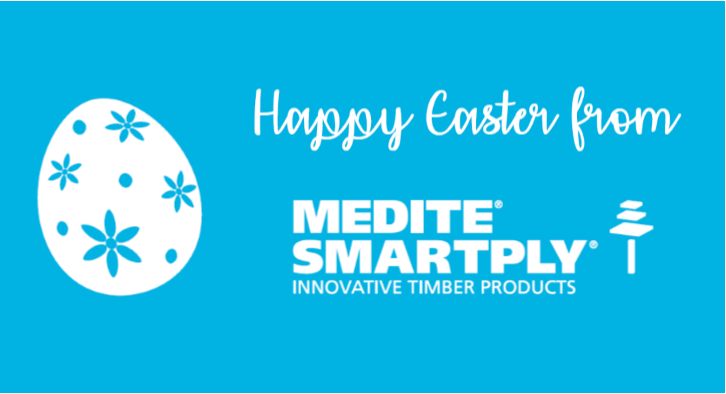 With all MEDITE products exceeding the stringent CARB2 emissions measure, and all SMARTPLY products being manufactured using zero formaldehyde as standard, MEDITE ECOLOGIQUE stands apart. This panel is specifically developed for environmentally sensitive interior applications such as art galleries and museums, as well as hospitals, schools, care homes and other public buildings, and has therefore undergone strict testing. Independent examinations have shown that MEDITE ECOLOGIQUE has a formaldehyde content of less than 1.0mg per 100g, which is the equivalent to the levels in hardwoods, and wood found in the natural environment. It even outperforms the stringent Class E1 (EN622-1) low formaldehyde standards. It’s important to understand that formaldehyde is naturally present in wood, and therefore in wood-based products. However, this is at a very low level that won’t cause harm. For example, natural environments like forests and green spaces are some of healthiest spaces for us to spend time in, despite the natural base-level emission of formaldehyde from surrounding trees. It’s when resins used to make regular wood panel products are added that the levels increase. Trusted to help the preservation of antiquities, as well as to contribute towards a healthy environment for staff and visiting public, MEDITE ECOLOGIQUE has been used extensively to construct cabinets and display units for many prestigious museums. These include world acknowledged institutions such as the British Museum and the Victoria and Albert Museum in London, going on to set the standard for others such as Corinium Museum in Cirencester, and Swansea Museum in South Wales. MEDITE ECOLOGIQUE panels are ideal for use in manufacturing furniture, fixtures and mouldings for applications in highly sensitive areas.